When you’ve become a bit of a simplistic dresser like myself – one is never too far from a striped top, navy jumper and blue jeans – accessorizing is an absolute must. 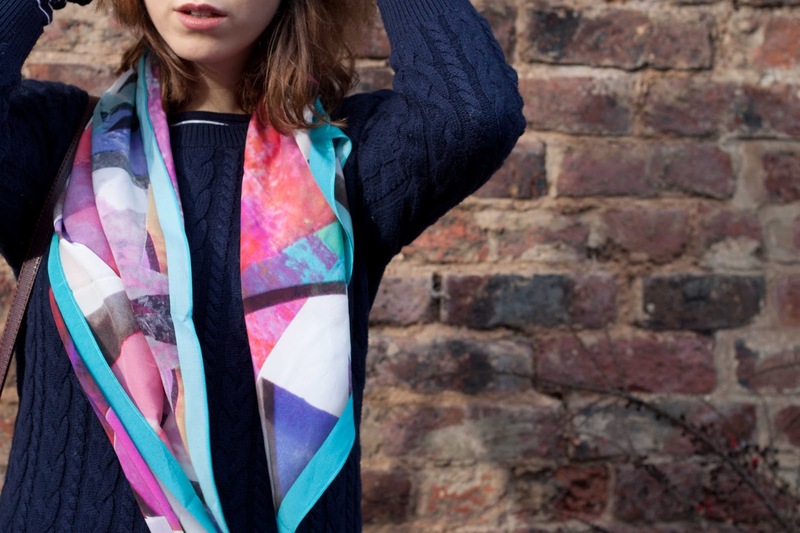 Bold, eye-catching pieces really help dress up an outfit, and there’s nothing easier to rock in the wintery weather than a statement scarf. No longer just the essential neck warmer, scarves are now key to pulling a lot of my looks together and have seen a huge reappearance on the catwalks as blankets, wraps, and let’s not forget Burberry’s personalised ponchos (the dream). For me, a nice silky patterned piece works wonders to match my lipstick or outfit, and these gorgeous prints from Eleanor J Shore have really helped lift my winter wardrobe in even more colour than before. 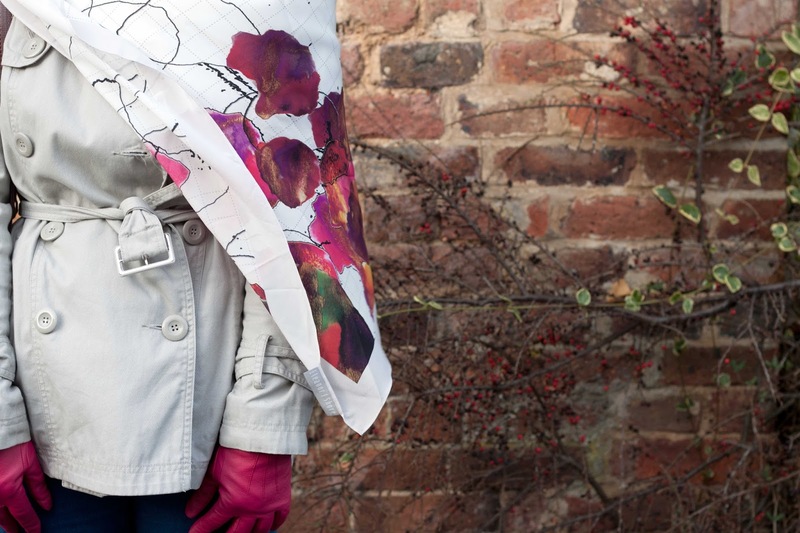 You can’t get much better than 100% silk, and these scarves are the epitome of luxury mixed with bold quirky prints – graphic shapes, splashes of colour, and made in the heart of the West Country – “big up your chest, represent the West” as Yeo Valley once sang. 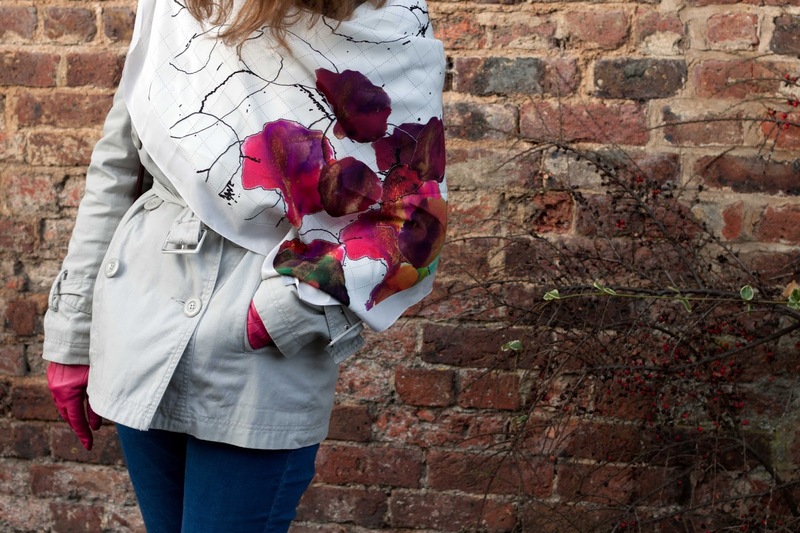 On those warmer winter days, a light trench coat helps set your wardrobe up for Spring, and the Multi Ink Scarf* really reflects light in your outfit; the floral splashes tease you with upcoming SS15 colours to wish the Summer was arriving sooner, and it drapes beautifully over the shoulder like a mini-poncho to ooze sophistication. 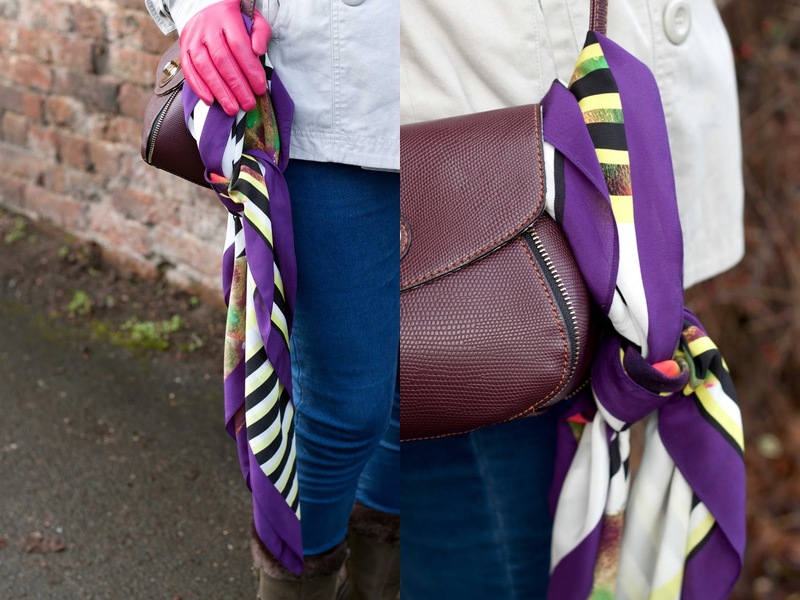 Scarves don’t just update your outfit but also your accessories too, so make your handbag a statement piece by tying your scarf around the handle just like the Yellow Stripe Ink Scarf* here. 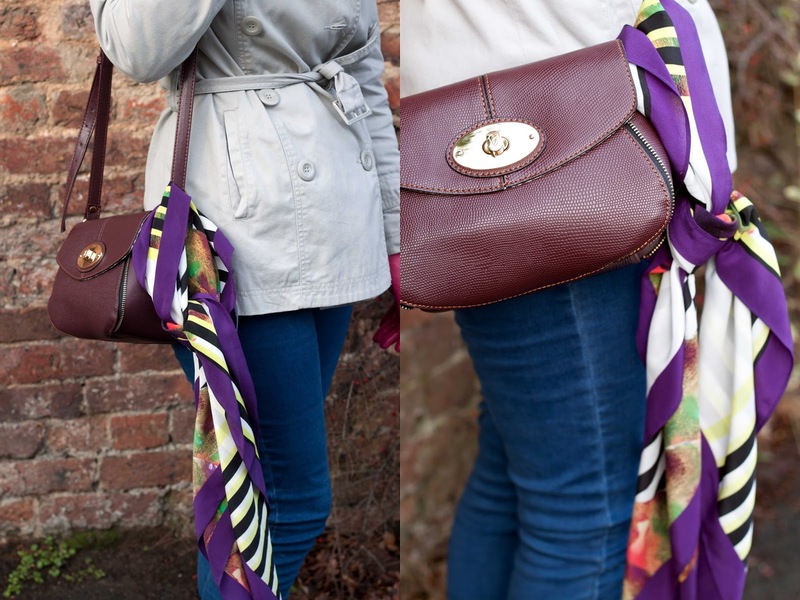 Keeping the colour of your scarf the same as your bag gives it an elongated feel, and is at easy reach to wrap around your neck should the wind come out to play; if it’s good enough for the catwalk, then it’s good enough for me! 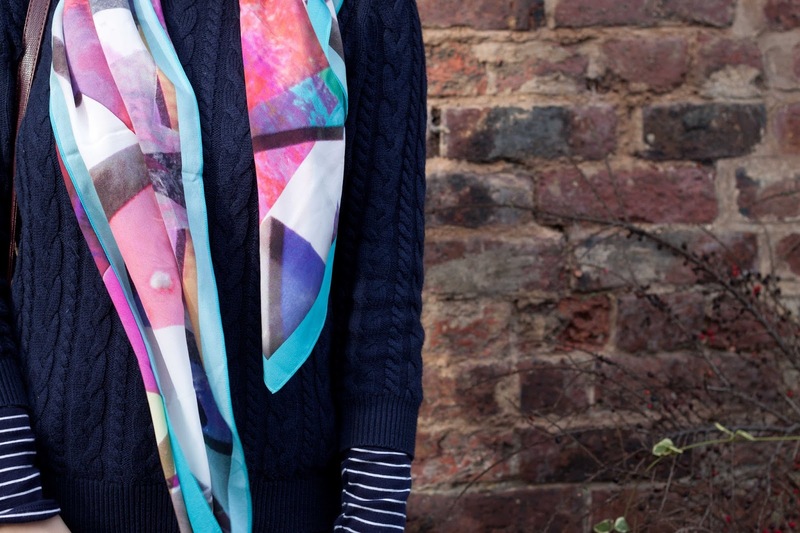 Finally, you can’t go wrong with a draped finish among quality material, and the Acid Reflect Scarf* has all of this plus my favourite colours combined. 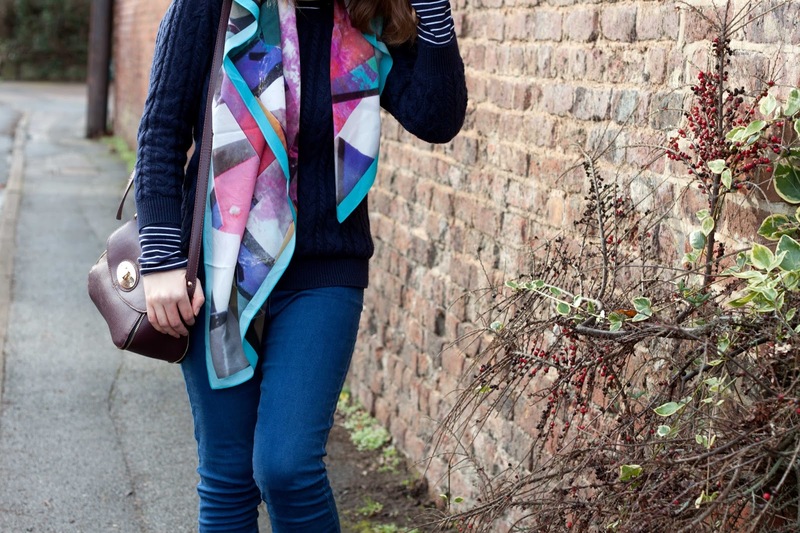 When it’s time to brave just some layers and a jumper, the flashes of blue, pink and purple in this scarf just make my staple navy pieces come to life, and it just makes your whole look appear more expensive and styled than without it – I think this is scarf love, it’s forever. If I wasn’t a scarf convert before, then I sure am now! I love how the contrast of colour, length and material can lift your look from one thing to another, giving you quality alongside comfort and making you feel very put-together. 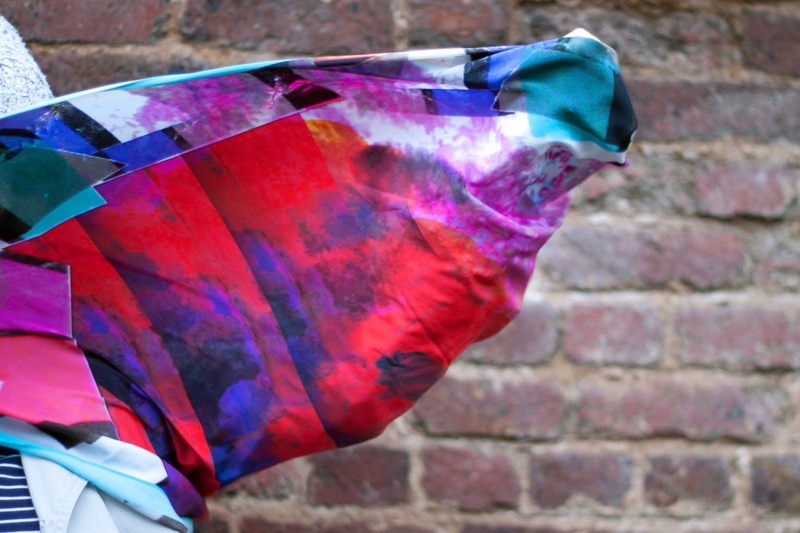 Eleanor J Shore has some amazing savings on her uniquely designed scarves, so go check out some British homegrown talent before it’s too late, and elevate your simple style to the high-flying style stakes. Do you love accessorizing with scarves? 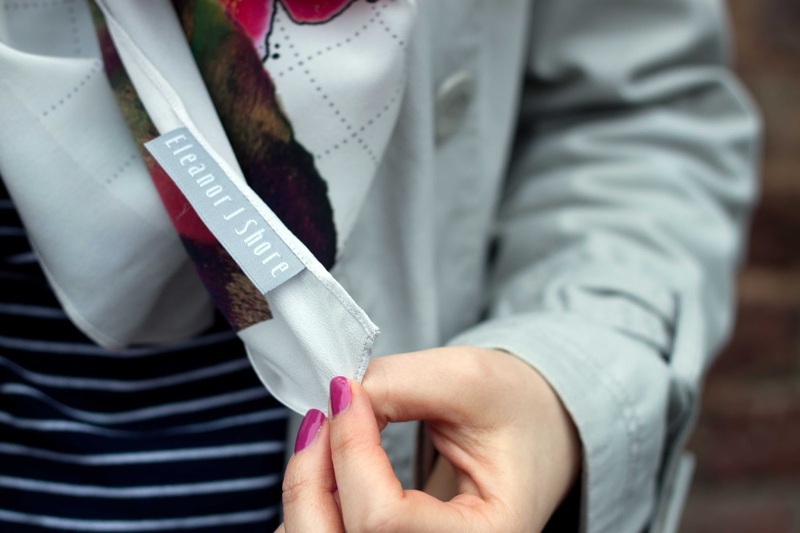 Have you heard of Eleanor J Shore before? How do you dress up your outfits?